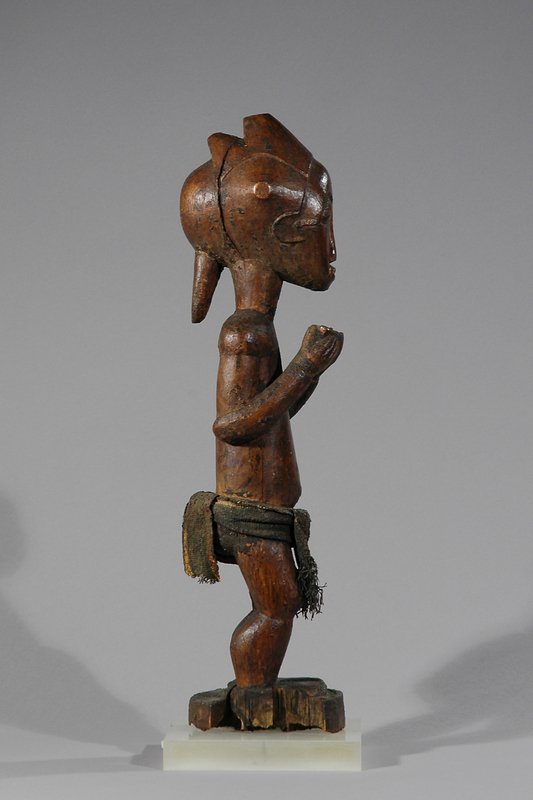 This very fine old figure comes from the Baule people of Ivory Coast well known for the quality and detail of their carving. 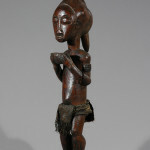 Traditional Baule figures in use were always clothed with real loincloths and never appeared naked, which is consistent with Baule ethics and standards of civilized behaviour. 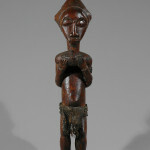 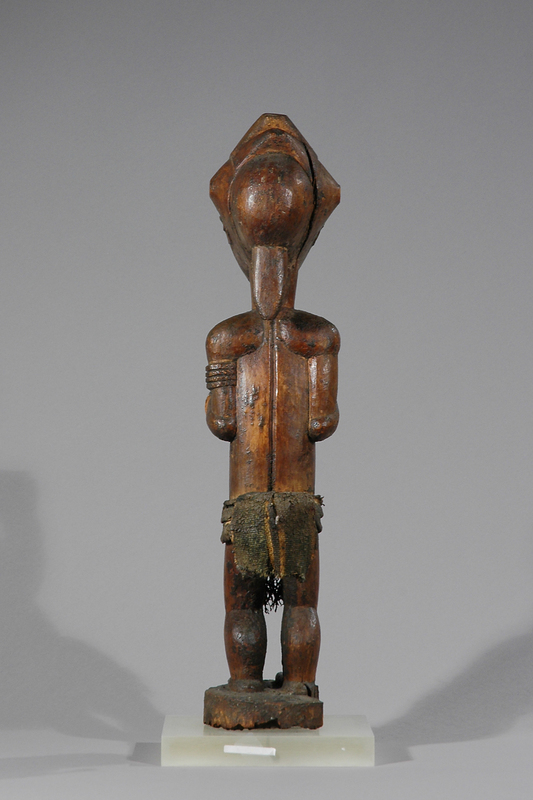 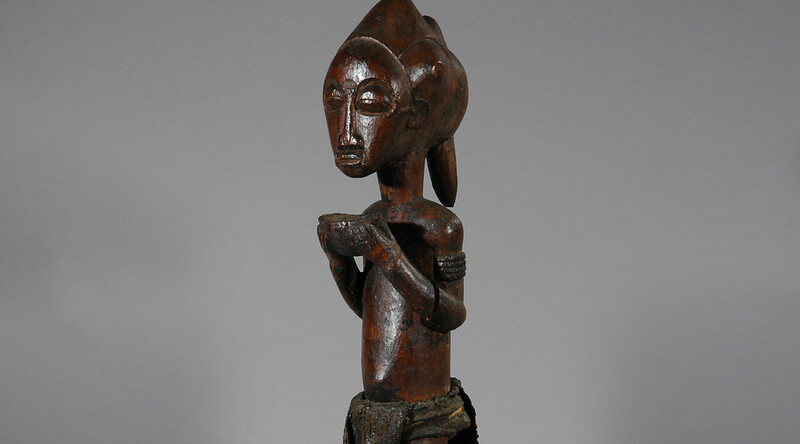 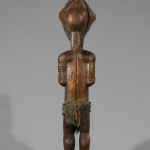 The Baule peoples have a tradition of making wooden, male and female, spouse figures from the ‘other world´. 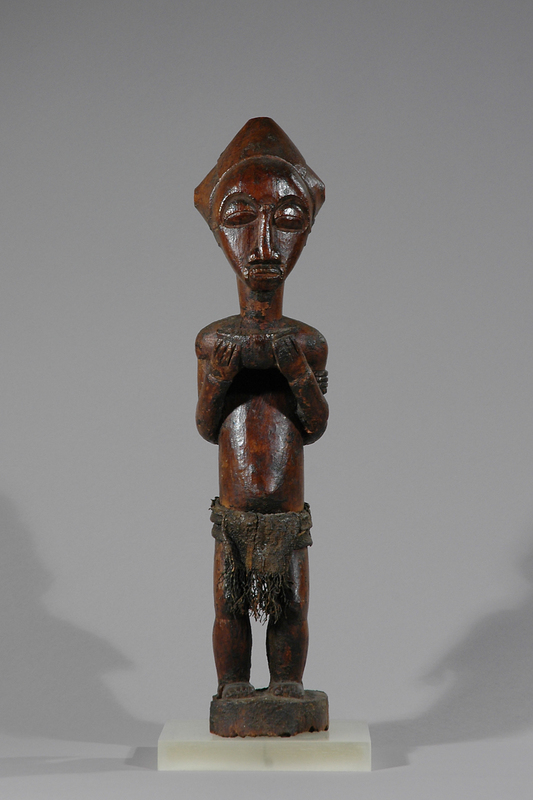 The Baule believe everyone has such another world spouse, and believe they must be taken care of in our world. 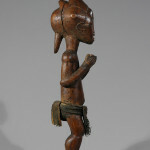 Therefore they make statues of these spirits with whom they feel deeply connected with. 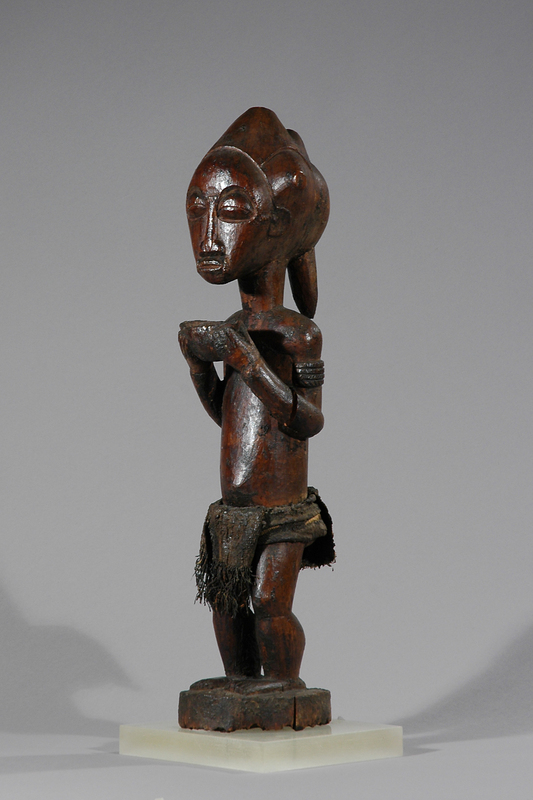 These figures represent an ideal of man- or womanhood, not only in physical appearance but in moral, social and intellectual achievement.